Your destiny lies in your hands as you stand before the ancient city of Troy, known to the early Greeks as Ilios. 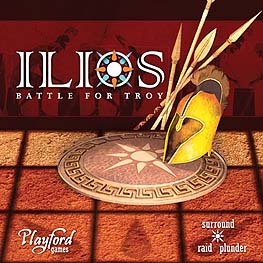 Take on the role of the warriors Hector, Ajax, Achilles, or Agamemnon in the campaigns of the Greeks and Trojan's found in Homer's epic tale "The Iliad." Raid and plunder in this strategy game for 2-4 players. Defend or attack, while nothing is sure until a warrior is surrounded.